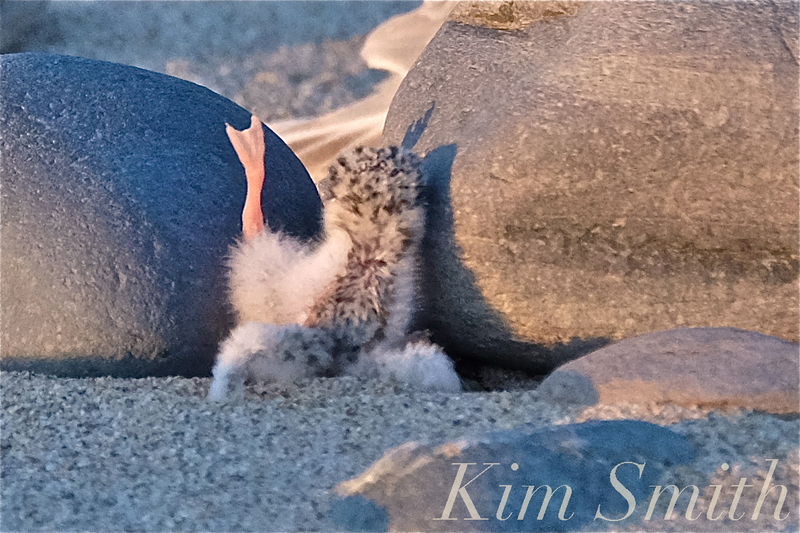 After exploring the beach, the three-day-old Least Tern chick decided to take a short cut through the rocks to nestle under Mom. She was well-camouflaged while brooding and keeping warm and cozy her second chick. before tumbling backward, with legs splayed and wings all akimbo. around he went the long way and had himself a good long snuggle under Mom. While observing and thinking about tiny shorebird chicks, like Least Terns and Piping Plovers, I am continually struck by their resiliency, by their tenacity, and by their ability to prevail, despite the natural and manmade threats to their survival. 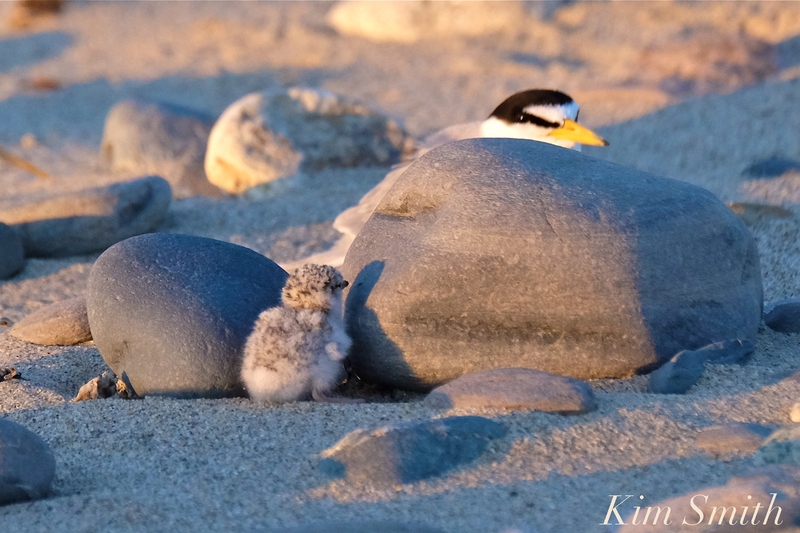 This entry was posted in Birds, Birds of New England, Life at the Edge of the Sea, Piping Plover, shorebirds and tagged Beautiful Birds of Cape Ann, Charadriiformes, Family Laridae, Least Tern, Piping Plovers, Sterna hirundo, Sternula antillarum on August 10, 2018 by Kim Smith.